"Offensive and inappropriate statements made by Donald Trump throughout this campaign have caused me to withhold my support or an endorsement. I have always supported the Republican presidential nominee and I had hoped to do the same in 2016. The video that surfaced yesterday further revealed his true character. He not only objectified women, he bragged about preying upon them. I cannot and will not support Donald Trump for President – he has forfeited the right to be our party's nominee. He must step aside." 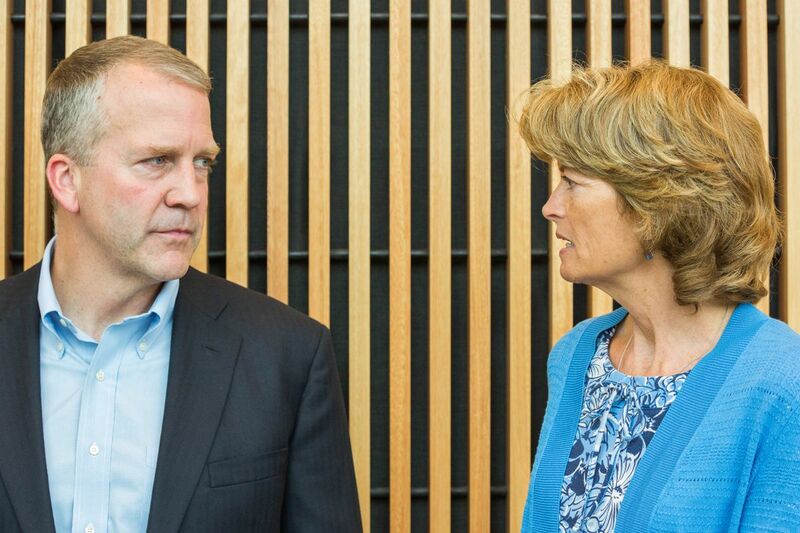 "Inspired by my three wonderful teenage daughters, and my wise and gracious wife, I have tried to do everything in my authority as an Alaskan public official over the past seven years to combat sexual assault and domestic violence. I've worked to encourage men to choose respect and change the culture of abuse against women and children, which is at epidemic levels in Alaska and many parts of the country. We need national leaders who can lead by example on this critical issue. The reprehensible revelations about Donald Trump have shown that he can't. Therefore, I am withdrawing my support for his candidacy. Because I love Alaska and our country, I cannot and will not support Hillary Clinton. She and her husband have their own sordid history of abuse of women. Further, her stated policies will undermine Alaska's economic future and our constitutional rights. "My Republican Party — the party of Lincoln, Roosevelt and Reagan — stands for upholding the constitution, economic opportunity, strong national defense, protecting the most vulnerable and the dignity and liberty of all people. As such, I will continue to campaign for Republican candidates across Alaska and the country. Keeping Republicans in the Senate majority is critical to the economic and national security of Alaska and America. As for the White House, Donald Trump should step aside. I will support Governor Mike Pence for President."